Background: Treatment of chronic myeloid leukemia (CML) with imatinib and more recent therapeutic agents has brought a drastic change in the course of this malignancy. Some patients never experience disease progression, and, therefore, may expect long-term survival with such treatment. Because of this, patients of childbearing age may continue to consider reproduction a possibility during the course of treatment for CML. Based on the teratogenic effects observed with tyrosine kinase inhibitors (TKIs) in animal models, the US Food and Drug Administration currently recommends that these agents be avoided during pregnancy. Support for this recommendation, however-specifically for the second-generation TKI nilotinib-is limited. Objective: We report this case to enhance the body of literature pertaining to the use of TKIs in pregnancy. Case Report: While maintaining a stable hematologic response on nilotinib, a woman, aged 27 years, became pregnant despite contraception with an intrauterine device, which may have been outdated. The patient was warned of the possibility of fetal toxicities with nilotinib, and elected to continue her pregnancy following counseling. 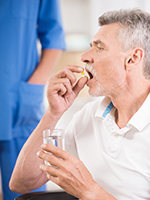 Nilotinib was discontinued immediately, and treatment with interferon was planned. Shortly after discontinuation of nilotinib, the patient underwent ultrasonography to assess her pregnancy, and was informed that the gestational age of the fetus was approximately 9 weeks. Prior to the administration of interferon, the patient experienced a miscarriage, at approximately 10.2 weeks' gestation. Discussion: To our knowledge, this is the first published report of a pregnancy resulting in miscarriage in a patient exposed to nilotinib during treatment of CML. Conclusion: If a patient becomes pregnant while receiving nilotinib, appropriate clinical practice should ensue, including counseling the patient about the potential for teratogenic effects and harm to the fetus. Our case suggests that clinicians should continue seeking an alternative course of treatment if the patient elects to continue the pregnancy. Disclosures are at the end of text. Dasatinib, nilotinib, and bosutinib are considered second-generation TKIs, and ponatinib is a third-generation TKI; all are indicated for the treatment of CML. In addition to first-line treatment, dasatinib and nilotinib are FDA approved for treatment of CML that is resistant or intolerant to imatinib therapy. With respect to teratogenicity in humans, data for the second- and third-generation TKIs are more limited than for imatinib; however, all TKIs are still classified as pregnancy category D by the FDA. To enhance the body of literature on the use of TKIs in pregnancy, we report on a woman aged 26 years, who became pregnant while receiving nilotinib therapy. Despite discontinuation of nilotinib at approximately 4 weeks' gestation, the pregnancy was terminated by miscarriage. In January 2012, a woman, aged 26 years, presented to a local community hospital with a spontaneous hematoma of her left upper quadrant and flank, as well as leukocytosis (Figure 1). She was diagnosed with CML at that time, and was initially treated with hydroxyurea for cytoreduction, with TKI treatment planned. Three weeks after diagnosis of the CML, she presented to the North Carolina Cancer Hospital (NCCH) with shortness of breath and chest pain; it was noted that she had discontinued hydroxyurea after completing her supply. The diagnosis of CML was confirmed at NCCH by a bone marrow biopsy that showed a hypercellular bone marrow with features of CML in the chronic phase. Nilotinib (Tasigna; Novartis, East Hanover, NJ), 300 mg twice daily, was initiated. The patient was educated about the risks of teratogenicity with nilotinib, and was instructed to not become pregnant. At this time, the patient had an intrauterine device (IUD) in place, which was approaching expiration. Her pregnancy test result at diagnosis and treatment initiation was negative, but she expressed an interest in conceiving in the future. In February 2012, the patient was admitted for dyspnea and anxiety, and was found to have pancytopenia, with moderate fatigue and mild bruising on her arms. Nilotinib was held at this time until her cell counts recovered (approximately 2 weeks), and was then reinitiated at a dose of 300 mg twice daily, which the patient tolerated well with no further pancytopenic episodes. Despite the complete hematologic response observed shortly thereafter, polymerase chain reaction testing in February 2013 indicated molecular progression and only partial cytogenetic response, and plans to change the TKI therapy were considered. During maintenance of a stable hematologic response on nilotinib, the patient informed her hematologist at a follow-up appointment in April 2013 that she was pregnant. The patient noted that her IUD had been in place for more than a year and was likely out of date. Prior to this appointment, she had undergone ultrasound imaging that confirmed the viability of the fetus. The patient was informed of the possibility of fetal toxicities because of the nilotinib therapy, but she elected to continue her pregnancy following this counseling. 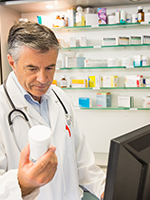 Nilotinib was discontinued immediately, and treatment with IFN was planned. It appeared that the patient had become pregnant in March 2013. Ultrasound imaging performed on May 8, 2013, indicated that the fetus was viable, with a gestational age of approximately 9 weeks. The estimated due date was December 11, 2013. At this time, the patient was tolerating her pregnancy well and had no signs of emesis, hypertension, bleeding, or abdominal pain. After further discussion, the patient again elected to continue the pregnancy. CML treatment with pegylated IFN-alpha-2a was planned so that hematologic remission would be maintained. However, initiation of the IFN therapy was delayed because of cost issues related to medication access. On May 13, 2013, the patient reported that she had experienced a miscarriage, which occurred at approximately 10.2 weeks' gestation. The estimated total fetal exposure time to nilotinib was 9.4 weeks. The patient had not received a dose of IFN shortly before the miscarriage. In addition to inhibiting the BCR-ABL gene, second-generation TKIs have been shown to inhibit other molecular targets. These alternate molecular targets include c-Kit, platelet-derived growth factor receptors (PDGFRs) α and β, Arg, c-Fms, and Src, all of which play a role in normal reproductive function and fetal development.8 Nilotinib specifically targets Arg, c-Kit, and PDGFRs, suggesting a role in fetal development. Because of the teratogenicity demonstrated in rats receiving imatinib, and the limited data available for humans, the current recommendation is to avoid or minimize fetal exposure to these agents by replacing the TKI with an alternative agent in patients who wish to become pregnant or experience an unplanned pregnancy.9 In preclinical studies, nilotinib was administered to pregnant rats and rabbits to study the effects of various doses on fetal development. Although there was no evidence of teratogenicity in these animals when nilotinib was administered at normal doses, the drug was toxic to fetal development at doses that produced an area under the curve between half up to 5 times that seen with 400 mg twice daily in human patients, and skeletal abnormalities were observed in both sets of fetuses.9 Although embryonic toxicity and minor skeletal abnormalities were observed at excessive doses, the manufacturer does not consider nilotinib to be teratogenic at recommended doses.9 The Table provides a summary of the current standard recommendations for TKI use during pregnancy, which are based on minimal evidence.7,8,10-14 Only limited data exist on fertility and risks to the fetus in human patients who continue treatment with a TKI during pregnancy. The FDA currently designates nilotinib and the other BCR-ABL TKIs as pregnancy category D because of the observations of fetal risk in animal subjects. In the above-mentioned cases, nilotinib exposure occurred within the first 9 weeks of pregnancy. In our case, nilotinib was stopped at 4 weeks. However, unlike the previous cases, our patient's pregnancy was terminated by miscarriage, which occurred at approximately 10.2 weeks' gestation, after the fetus had been exposed to nilotinib for approximately 9.4 weeks. Before the introduction of imatinib, IFN-alpha was the treatment of choice for CML.17 IFN-alpha differs from other therapeutic agents. By inhibiting cell proliferation through its ability to enhance or inhibit the synthesis of specific proteins, ribonucleic acid degradation, modification of cell-surface antigen expression, and possibly immune-system modulation, IFN-alpha does not elicit any effect on DNA synthesis.18 Moreover, because of its large molecular weight, it is not likely to cross the placental barrier. In animal studies of IFN-alpha, mutagenicity and teratogenicity were not observed, and case studies have shown that IFN-alpha products can be taken during pregnancy, with minimal adverse effects on the fetus at any stage of pregnancy.18 Based on the available data, IFN-alpha is considered a safe alternative to TKI therapy to administer to patients with CML during pregnancy. Two weeks before our patient's miscarriage, the plan was to switch her therapy to pegylated IFN-alpha-2a (30 mg weekly). Our patient had psychosocial issues that complicated her treatment course for CML. However, the CML responded well to nilotinib. Her case was also complicated by retention of an IUD during the pregnancy. A 2012 review summarized 9 studies of patients whose IUD remained in situ during pregnancy, and suggested that the risk of adverse outcomes, including spontaneous abortion, is higher for these patients, compared with patients who have their IUD removed.19 This review was corroborated by a more recent, retrospective study of 144 pregnant women with an IUD in place, which demonstrated increased risk to the pregnancies, including a significantly higher risk for miscarriage.20 Although our patient reported that her IUD was past expiration, studies have shown that IUDs remain effective beyond the manufacturer-specified expiration dates, and this continued effect also may extend the teratogenicity.21 Therefore, we can assume that our patient's IUD complicated her pregnancy, but the degree to which it contributed to her miscarriage is unknown. According to the patient's medical records, she did not use any medications other than the IUD and nilotinib, which ruled out the possibility that other medications may have caused the miscarriage. Despite the complications of this case, the exposure to nilotinib for an extended period early in gestation indicates that nilotinib may be considered a treatment option for CML during pregnancy. If a patient becomes pregnant while receiving nilotinib, current clinical practice should ensue (Figure 2), and include counseling the patient on the potentially teratogenic effects and harm to the fetus. An alternative treatment, preferably IFN, should be initiated if the patient elects to continue the pregnancy. The treatment of CML has been revolutionized by the use of TKIs (including second- and third-generation agents), and by ongoing research into molecular-targeted therapies. These medications have improved the prognosis of this disease, and have resulted in new considerations for patients of childbearing age, and who wish to conceive. Although case reports have indicated that TKI use during pregnancy is safe and associated with favorable outcomes, our patient experienced a miscarriage. Even though her pregnancy was complicated by other issues, and nilotinib cannot specifically be implicated as the cause of her miscarriage, this case should be considered in treatment decisions for patients with CML who are pregnant. Our case supports continued reporting of the effects of TKI exposure during pregnancy, and emphasizes the importance of counseling patients on adequate contraception. 1. Howlader N, Noone AM, Krapcho M, et al. National Cancer Institute. SEER cancer statistics review, 1975-2011. 2014. http://seer.cancer.gov/archive/csr/1975_ 2011/. Updated December 17, 2014. 2. Drucker BJ. Translation of the Philadelphia chromosome into therapy for CML. Blood. 2008;112:4808-4817. 3. Goldman JM, Melo JV. Chronic myeloid leukemia-advances in biology and new approaches to treatment. N Engl J Med. 2003;349:1451-1464. 4. Talpaz M, Hehlmann R, Quintas-Cardama A, et al. Re-emergence of interferon-α in the treatment of chronic myeloid leukemia. Leukemia. 2013;27:803-812. 5. Hensley ML, Ford JM. 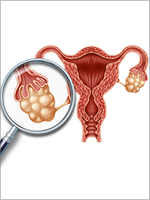 Imatinib treatment: specific issues related to safety, fertility, and pregnancy. Semin Hematol. 2003;40(suppl 2):21-25. 6. Apperley J. CML in pregnancy and childhood. Best Pract Res Clin Hematol. 2009;22:455-474. 7. Pye SM, Cortes J, Ault P, et al. The effects of imatinib on pregnancy outcome. Blood. 2008;111:5505-5508. 8. Ault P, Kantarjian H, O'Brien S, et al. Pregnancy among patients with chronic myeloid leukemia treated with imatinib. J Clin Oncol. 2006;24:1204-1208. 9. Tasigna [package insert]. East Hanover, NJ: Novartis; October 2015. 10. Cohen MH, Williams G, Johnson JR, et al. Approval summary for imatinib mesylate capsules in the treatment of chronic myeloid leukemia. Clin Cancer Res. 2002;8:935-942. 11. Hazarika M, Jiang X, Liu Q, et al. Tasigna for chronic and accelerated phase Philadelphia chromosome-positive chronic myelogenous leukemia resistant to or intolerant of imatinib. Clin Cancer Res. 2008;14:5325-5331. 12. Brave M, Goodman V, Kaminskas E, et al. Sprycel for chronic myeloid leukemia and Philadelphia chromosome-positive acute lymphoblastic leukemia resistant to or intolerant of imatinib mesylate. Clin Cancer Res. 2008;14:352-359. 13. US Food and Drug Administration. Center for drug evaluation and research application number: 203341Orig1s000. www.accessdata.fda.gov/drugsatfda_docs/nda/2012/203341Orig1s000PharmR.pdf. Accessed February 10, 2016. 14. US Food and Drug Administration. New Drug Application (nda). Iclusig. www.accessdata.fda.gov/drugsatfda_docs/nda/2012/203469Orig1s000PharmR.pdf. Accessed February 10, 2016. 15. Conchon M, Sanabani SS, Bendit I, et al. Two successful pregnancies in a woman with chronic myeloid leukemia exposed to nilotinib during the first trimester of her second pregnancy: case study. J Hematol Oncol. 2009;2:42-45. 16. Hadiji Mseddi S, Kallel F, Amouri H, et al. Delivery of two normal twins exposed to imatinib and nilotinib during the first trimester of pregnancy in a woman with chronic myeloid leukemia. J Hematol Malig. 2012;2:74-76. 17. Mubarak AAS, Kakil IR, Awidi A, et al. Normal outcome of pregnancy in chronic myeloid leukemia treated with interferon-alpha in 1st trimester: report of 3 cases and review of the literature. Am J Hematol. 2002;69:115-118. 18. Lipton JH, Khoroshko N, Golenkov A, et al. Phase II, randomized, multicenter, comparative study of peginterferon-alpha-2a (40 kD) (Pegasys) versus interferon alpha-2a (Roferon-A) in patients with treatment-naïve, chronic-phase chronic myelogenous leukemia. Leuk Lymphoma. 2007;48:497-505. 19. Brahmi D, Steenland MW, Renner RM, et al. Pregnancy outcomes with an IUD in situ: a systematic review. Contraception. 2012;85:131-139. 20. Ozgu-Erdinc AS, Tasdemir UG, Uygur D, et al. Outcome of intrauterine pregnancies with intrauterine device in place and effects of device location on prognosis. Contraception. 2014;89:426-430. 21. Wu JP, Pickle S. Extended use of the intrauterine device: a literature review and recommendations for clinical practice. Contraception. 2014;89:495-503.